Turmoil is my most recent painting. 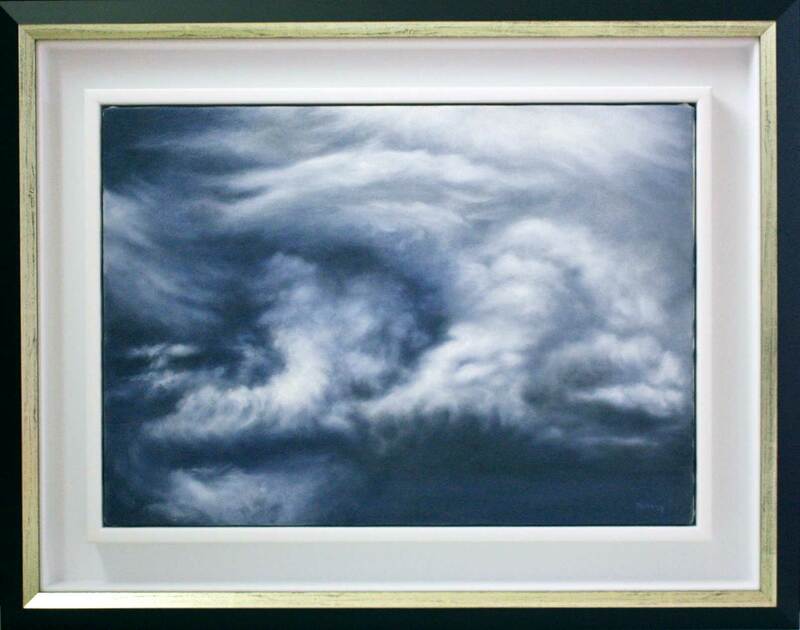 It depicts swirling grey clouds that are churning uncontrollably. There's an internal conflict, which for the time being refuses to settle.